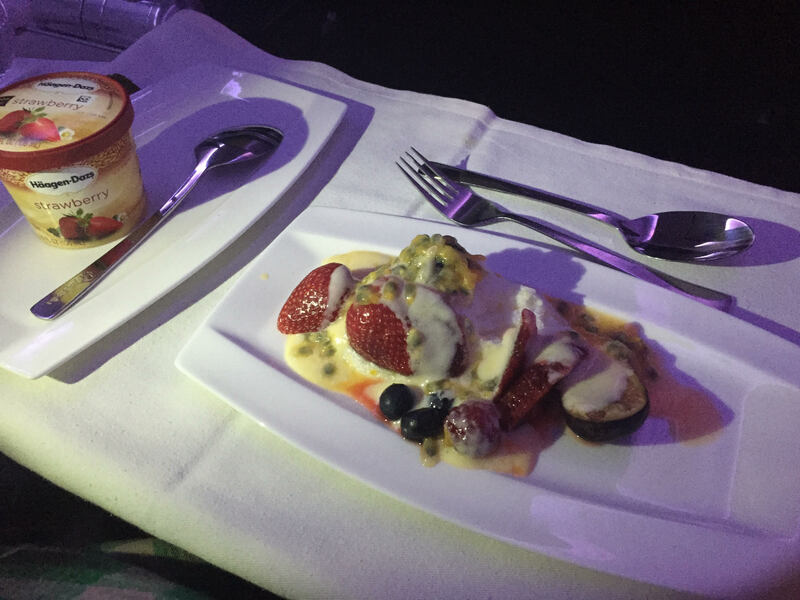 Virgin Australia Business Class from Los Angeles (LAX) to Brisbane (BNE) | No Mas Coach! At about 11:15 we headed down from the Star Alliance lounge to our gate for boarding. They were quite good about separating the business class line from the coach line, so we boarded quickly and were down the jet bridge in under 2 minutes. 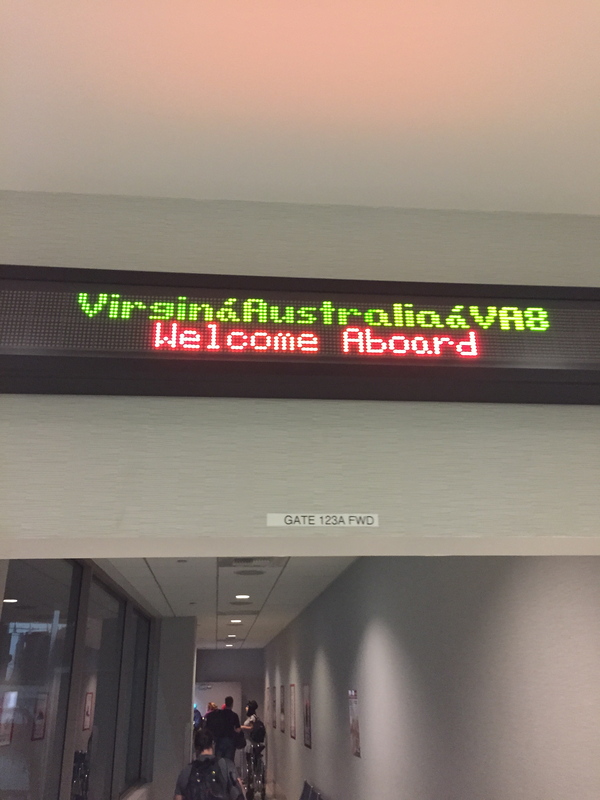 We were greeted at the door by Dave, the purser for the flight, who welcomed us onboard for our flight to “Brizzy.” We turned left past the bar to head to our seats, but before we did, we got a good look at the famous “Flying Lady” of Virgin Australia. She’s right across from the bar and separates the first 4 rows of business class from row 5 of business class. 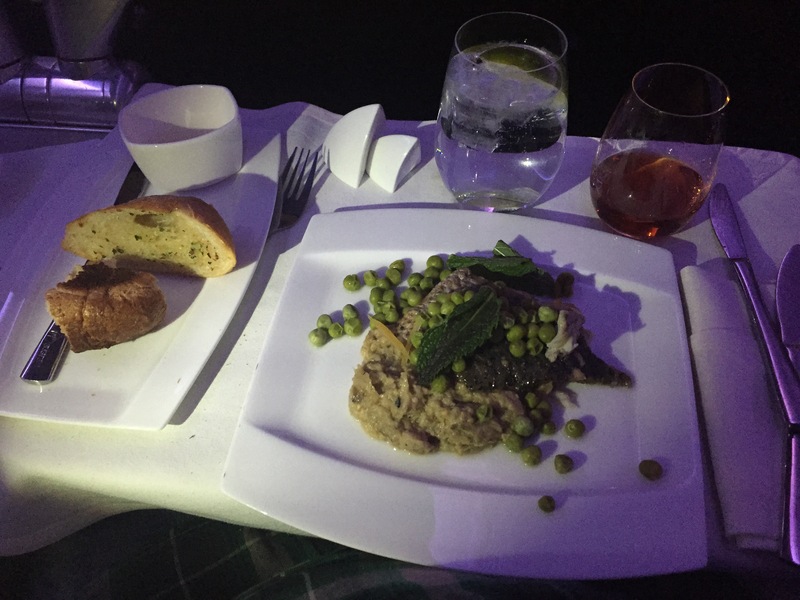 Virgin doesn’t allow row 5 to be reserved ahead of time, instead keeping it usually for VIP guests because of it’s isolation and private feel. 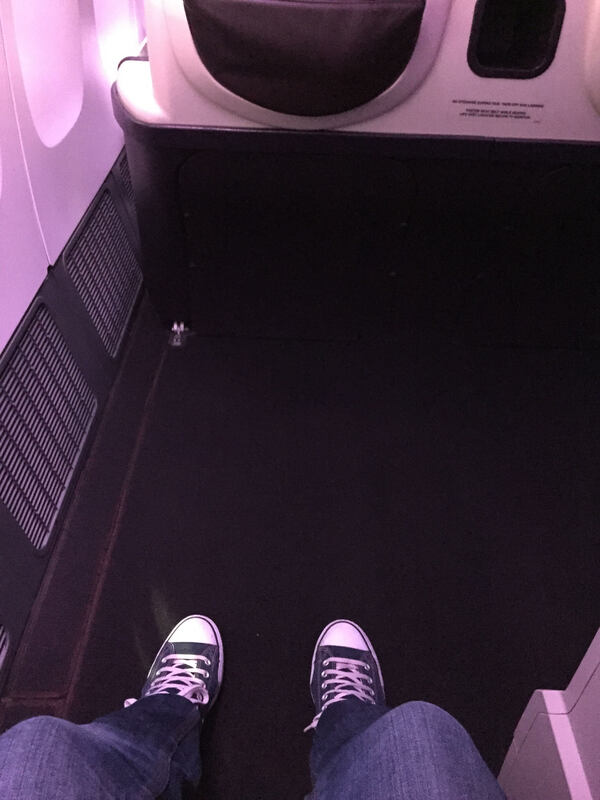 Virgin has a 2-3-2 seating configuration in business, which can cause some problems if you’re the poor soul caught in the “F” middle seat between two strangers and you find yourself needing to get up to go to the bathroom. 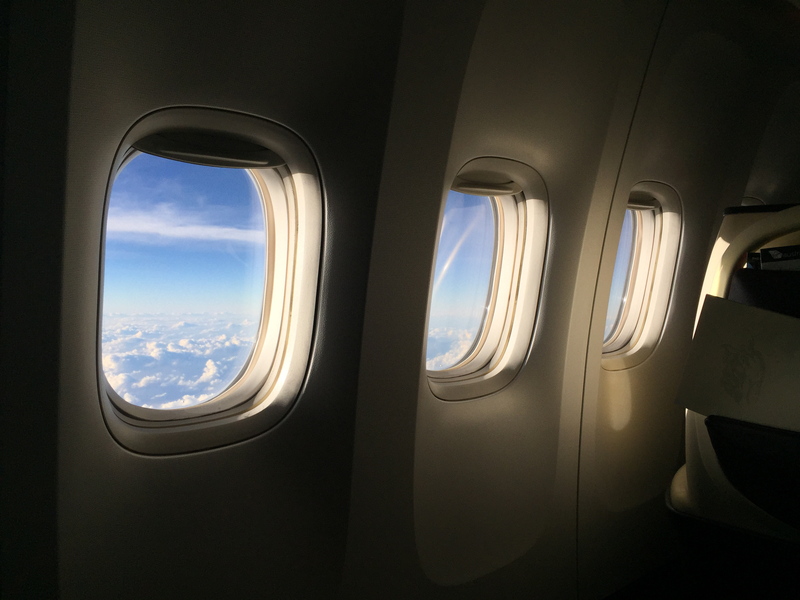 Traveling as a couple, however, is great if you can snag the window/aisle pair on either side! When the seats fully recline into bed mode, there is enough space to carefully step over your partner and make it to the aisle if you’re seated at the window. As soon as we were seated we were greeted by Kyra our flight attendant for the flight. She let us know that for the entire journey she would be there to take care of us, whatever we needed. 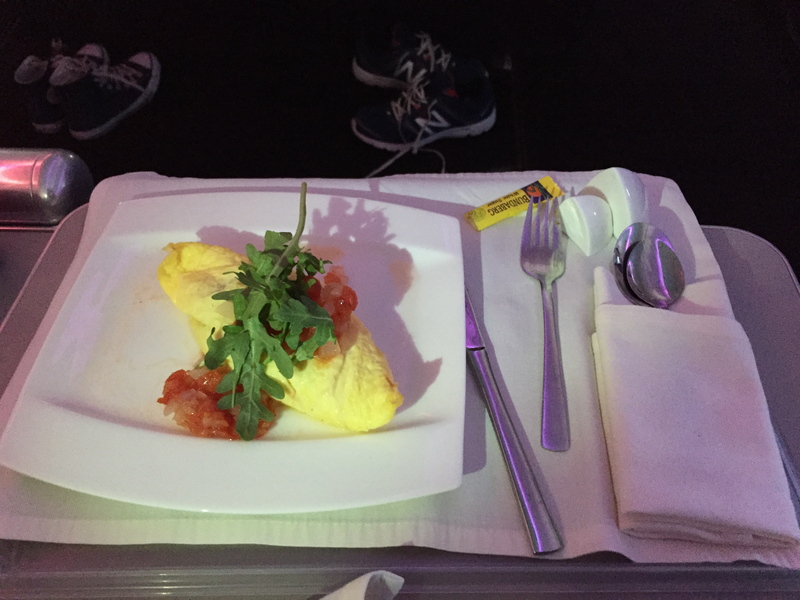 She explained how everything would work for the next 14 hours as well, from the bathroom setup (women have their own rest room in the front) to the breakfast menu (preorder so she won’t wake us up) and even for us to call her when we were ready for her to make our bed! She offered us a pre departure beverage and also brought us the amenity kit and a set of Pyjamas for the flight. Two sizes, by the way, Small and Medium. As someone who normally wears an XL, the “medium” size fit me perfectly with room to spare. 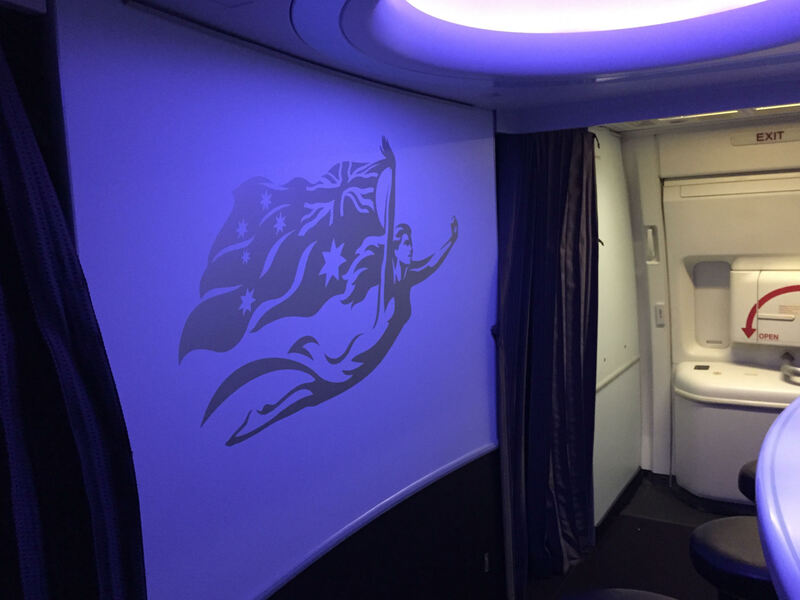 Because there is so much room between you and the seat in front of you (NOT complaining one bit…) the video monitors are stored in between the seats, so you can’t use them for takeoff and landing. 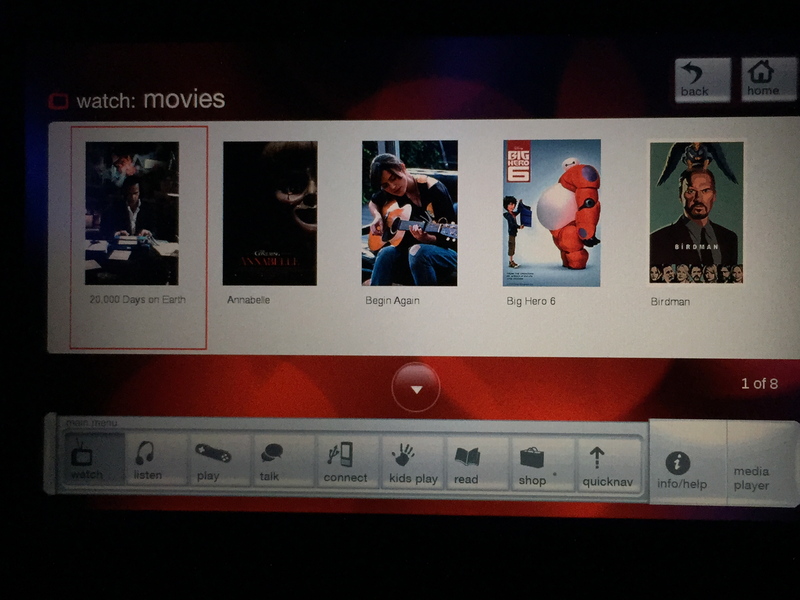 Shortly after we took off, we took out the screens to get a view of some of the movies offered on Red, the Virgin In Flight Entertainment system. 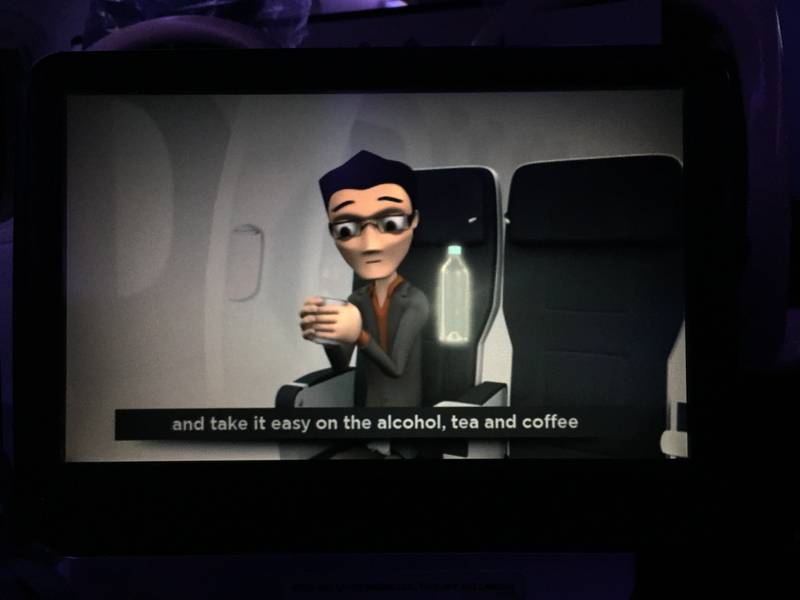 There was also a short video about how to stay healthy on a long flight, including different exercises to do, suggestions on how to pass the time, and even a reminder to avoid alcohol/caffeine on long haul flights. We both started out with the seared tuna. The flavor was amazing and the temperature of everything was perfect. Notice the salt and pepper shakers? They’re shaped like the Sydney Opera house, and nestle into one another. They used to give them out as souvenirs but when I asked, she said they stopped doing that quite some time ago. Shame, would have made a nice table conversation piece. For the main course I opted for the Barramundi and Ben for the Beef Filet. The Barramundi was really a bad, bad dish. The sides were fine but the fish was really lacking in flavor. 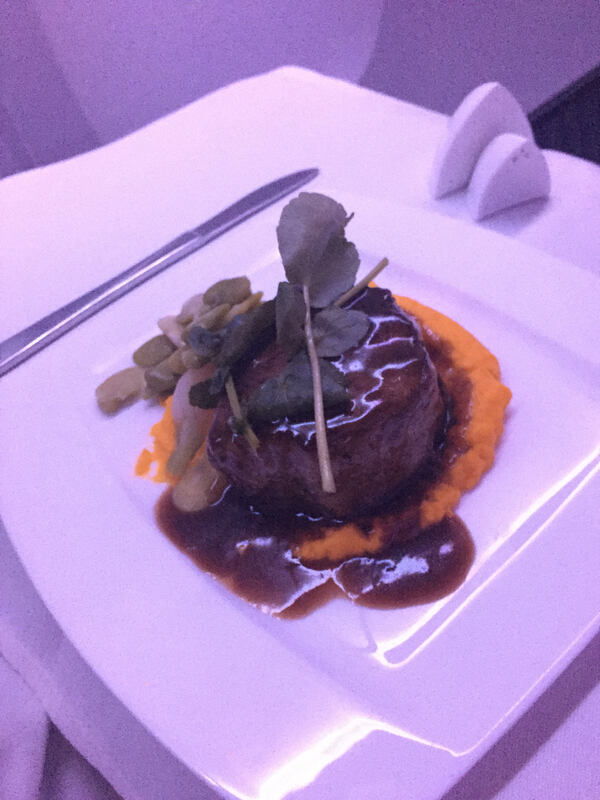 The beef on the other hand, was really well prepared and tasted phenomenal. Better than a lot of steak that I’ve had in restaurants on the ground. Barramundi filet with baba ganoush, peas, lemon and mint. Properly stuffed and full from a great dinner service, we decided it was time to make the bed and get some sleep. 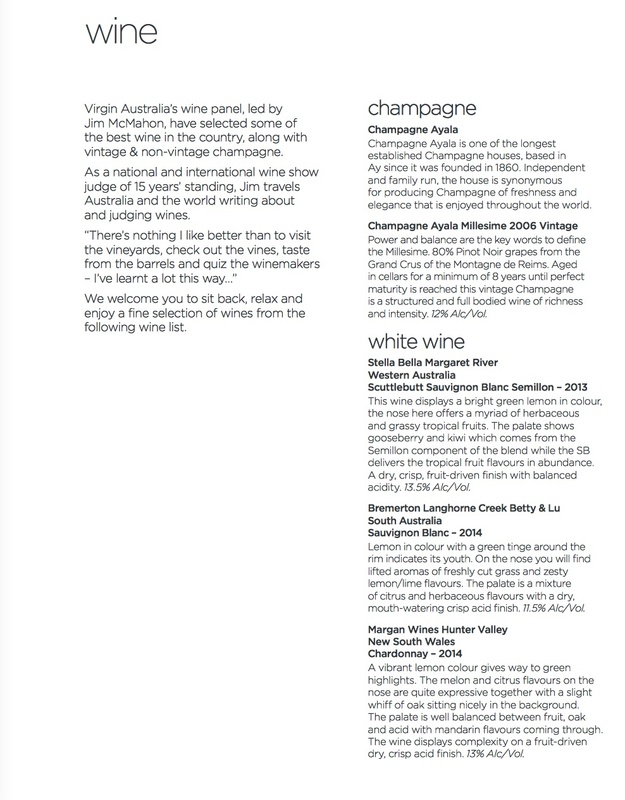 I will give Virgin credit for one thing that a lot of (all) domestic airlines fail at. When it was time to get ready, I pushed the call button and in under 5 seconds, she was at my seat. I know it’s a minor thing, but next time you’re on a US domestic flight, push the call button and watch one of two things happen. 1) Nothing or 2) The FA will look down the aisle, squint and try and find which seat has the button pressed, come over to you and say “did you mean to push that?” and when you say “Yes, I need XYZ” they will roll their eyes and take 8 minutes to do whatever service request you have. I know that you’re there primarily for my safety, but please don’t act like tearing you away from reading US weekly in the galley was that horrible. The bed lies fully flat and they put a mattress pad down on the seat itself so you don’t feel the individual cushions and separations between them. At this point the cabin is dimmed, window shades are lowered, and the light show begins. 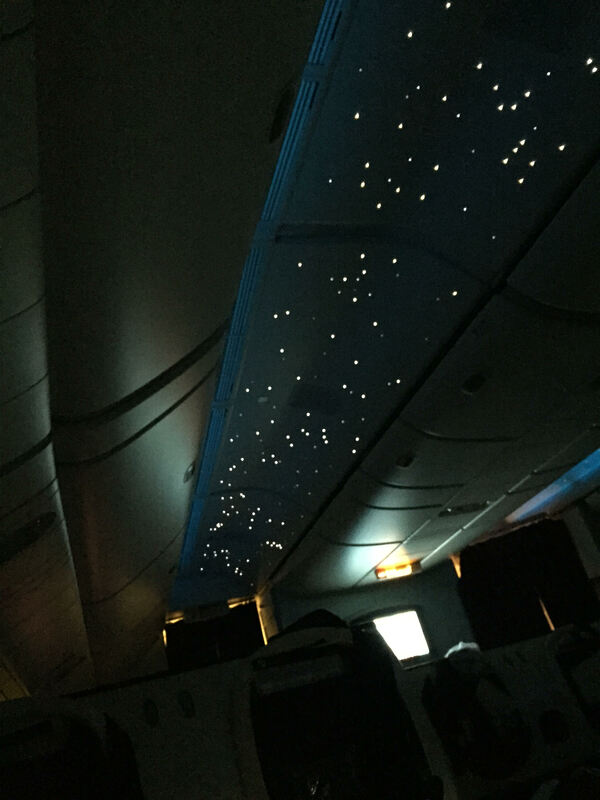 The cabin ceiling is turned into a starscape, simulating a night time clear sky. 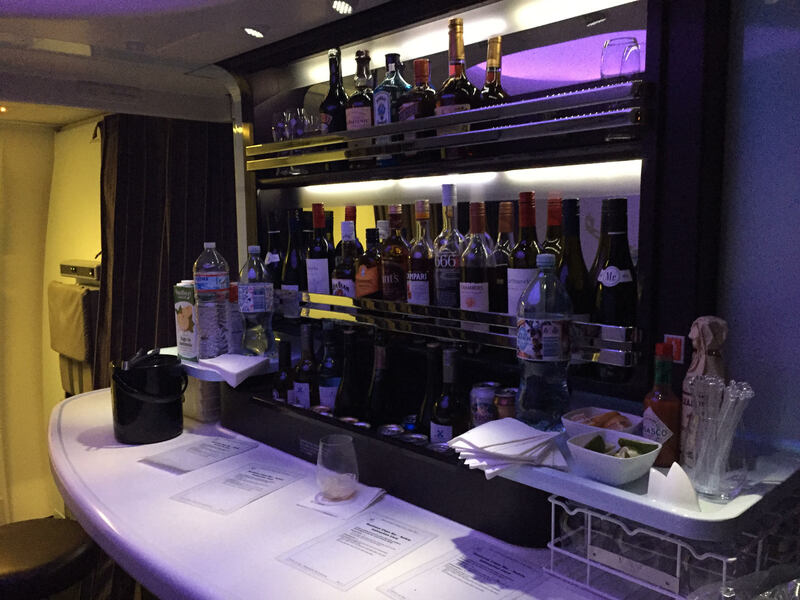 No 8 hour sleep on an airplane would be complete with a quick visit to the onboard bar for a nightcap. 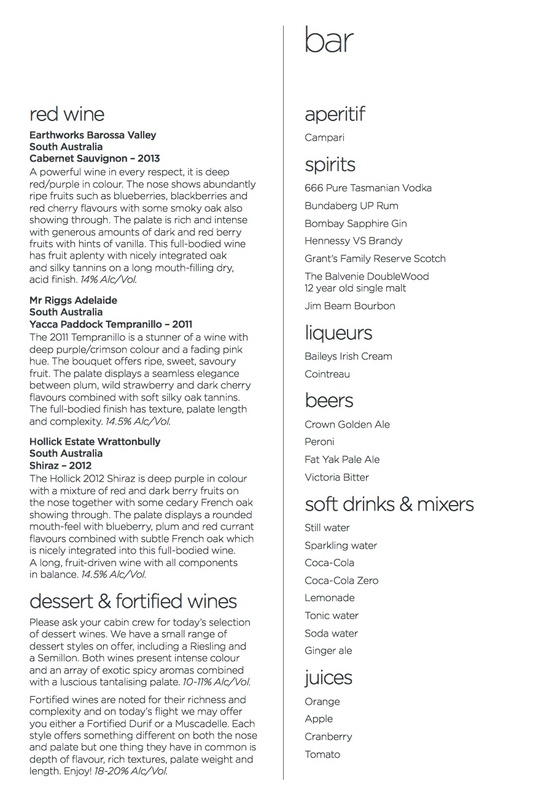 While not staffed, it’s self service and offers a really impressive selection of drinks and snacks. It’s located just behind row 4 and before row 5, which at this point is curtained off and blocked so the VIP’s can sleep undisturbed. Fully stocked bar for a night-cap. My one beef with Boeing 777 is the lack of individual air controls at the seats. 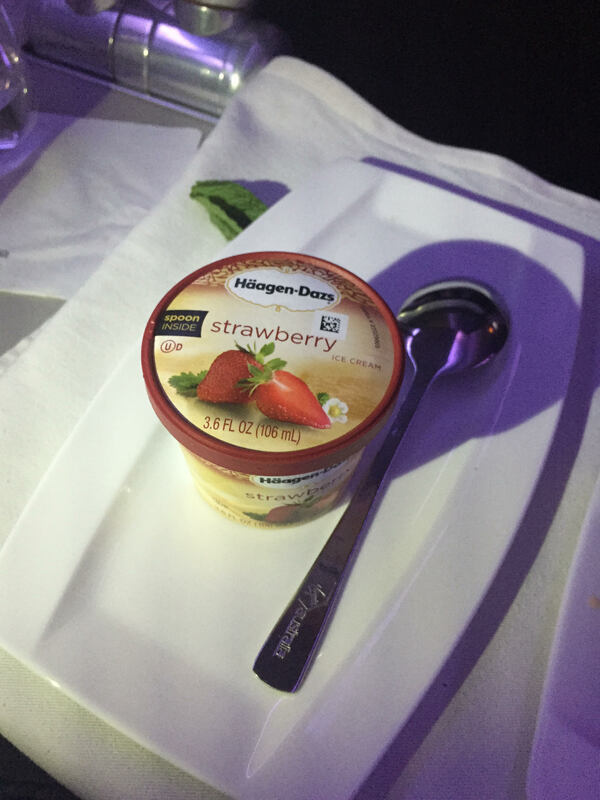 The temperature is all controlled from the flight attendants in the galley, and it can get very, very warm in the cabin. Add to that the heavy blanket they give you to cover up with and it can turn into an oven really quickly. After a solid 8 hours of sleep we woke up somewhere over the water near Vanuatu, and Kyra cheerfully (almost too cheerfully for 8 hours later) came over and offered us some coffee to help wake up. I love the fact that they offer a barista style experience including espresso, cappuccino, hot chocolate, cafe latte, and more. Just about 20 minutes afterwards Kyra came through again to thank us both for flying with them, and hoped that we enjoyed our flight. She gave us the immigration forms and express path card to make a quick cut through immigration. 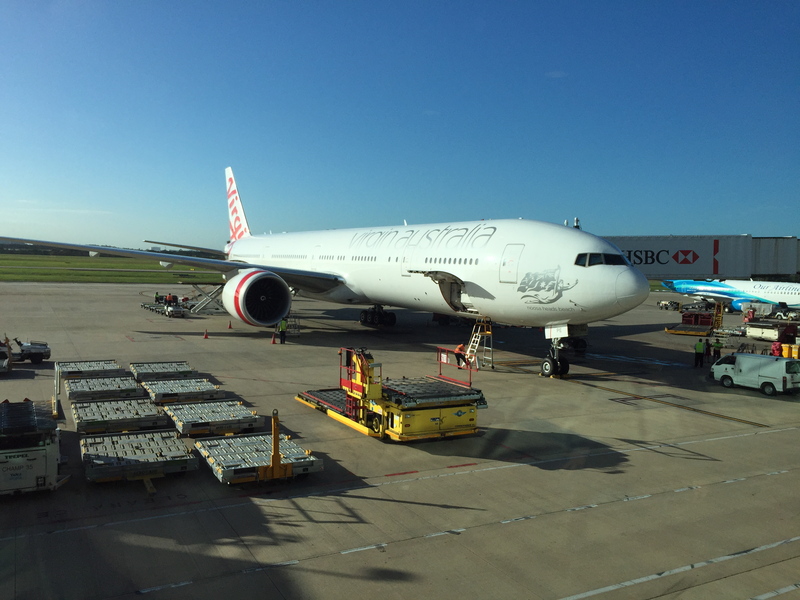 We also got some advice about how to navigate the Brisbane airport, being that the domestic terminal for our connection is a 5 minute bus ride away. With that, we left the plane, grabbed our carry-ons and headed through immigration. Here’s a view of our big beauty that carried us the 14+ hours across the water! So, how was the flight? 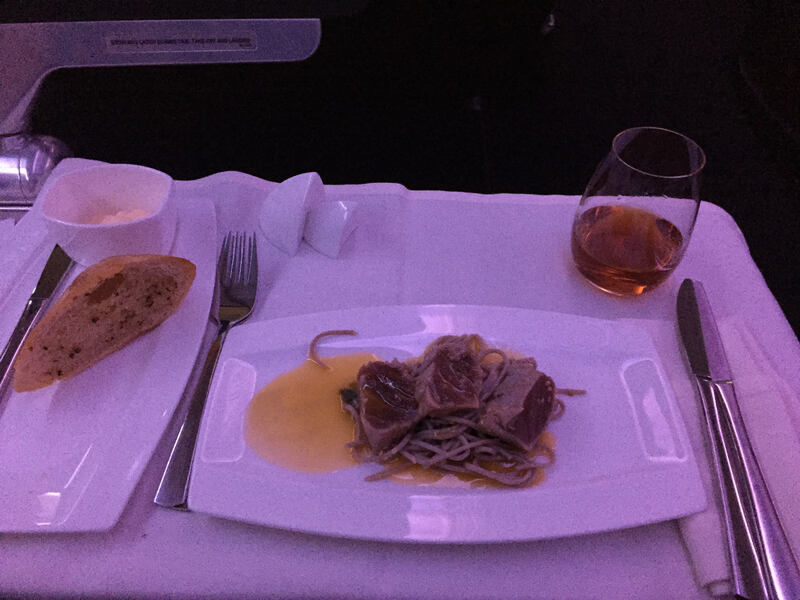 On a long transcon flight over a huge body of water, what I’m looking for is a seat to be able to sleep a good solid 7-8 hours, solid food, comfort and some decent entertainment. Virgin delivered on almost all of them (I’m assuming the fish was a one time thing). The service from the FA’s was good and non intrusive, the bed was fully flat, and I know that I got a good 7 1/2-8 hours in. Loved the review! I have yet to fly VA but hope to someday! I heard they’re getting new seats yet I think for a couple or when travelling with a buddy, the older seat may be better. 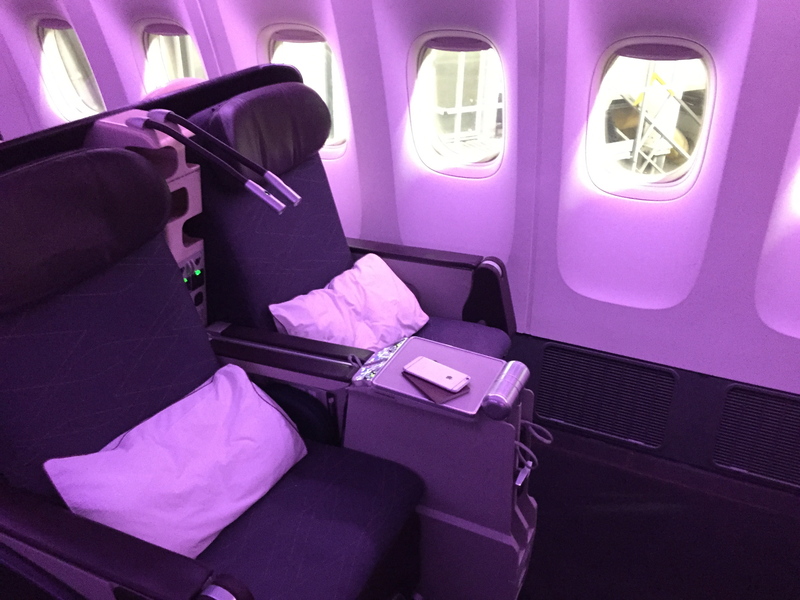 The new seats are very similar to CX’s and AA’s new business class seat, which is great for solo travelers but not so great for those who travel with a +1. 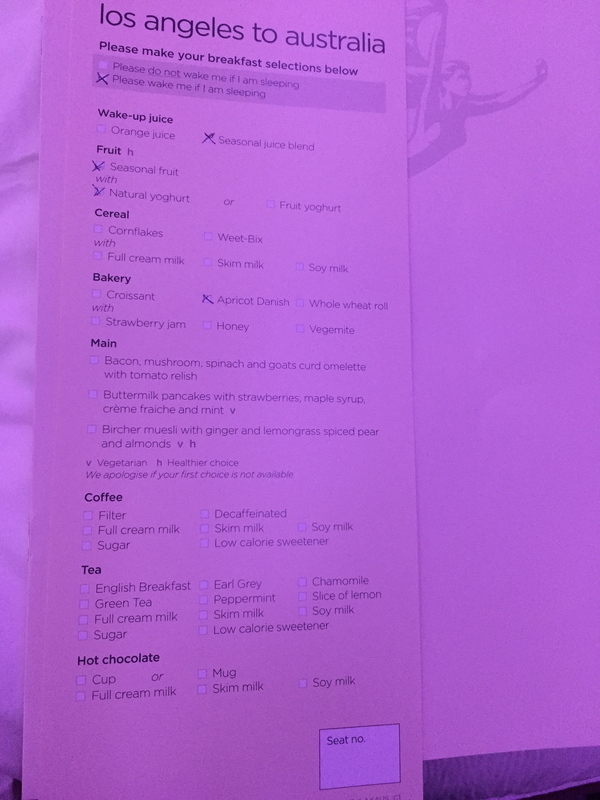 Anyway, I couldn’t enlarge the dinner menu photo for some reason.